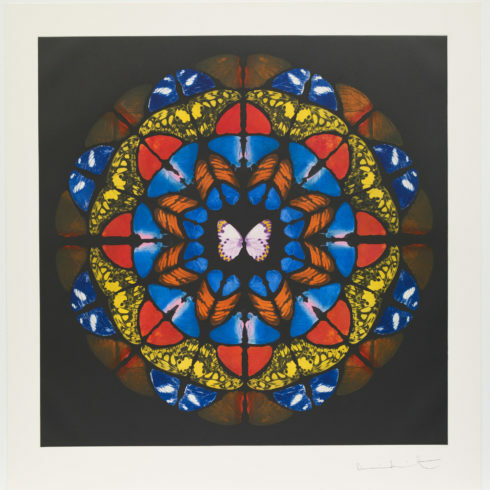 Damien Hirst, For The Love of God (White) is an original screenprint with diamond dust. 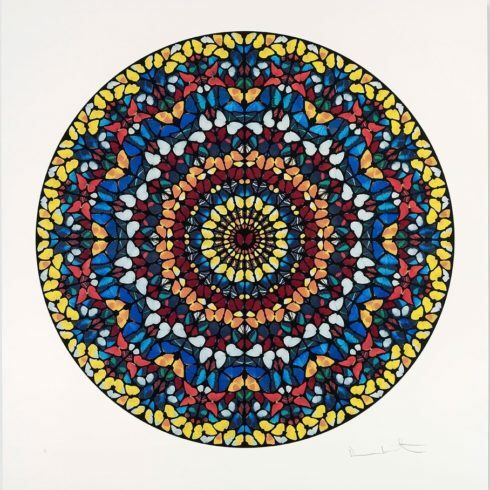 This print is signed and numbered on the back by the artist. 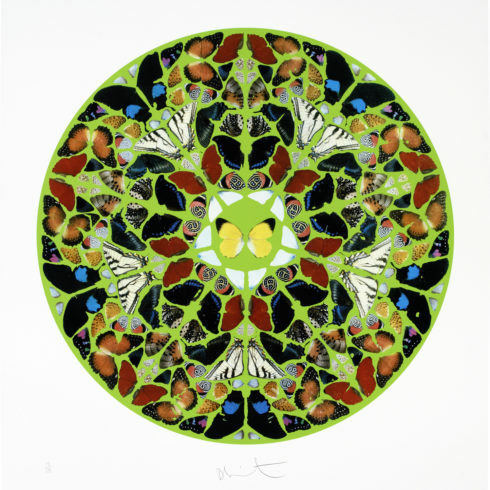 For the Love of God (White) is a print depicting a sculpture by artist Damien Hirst produced in 2007. 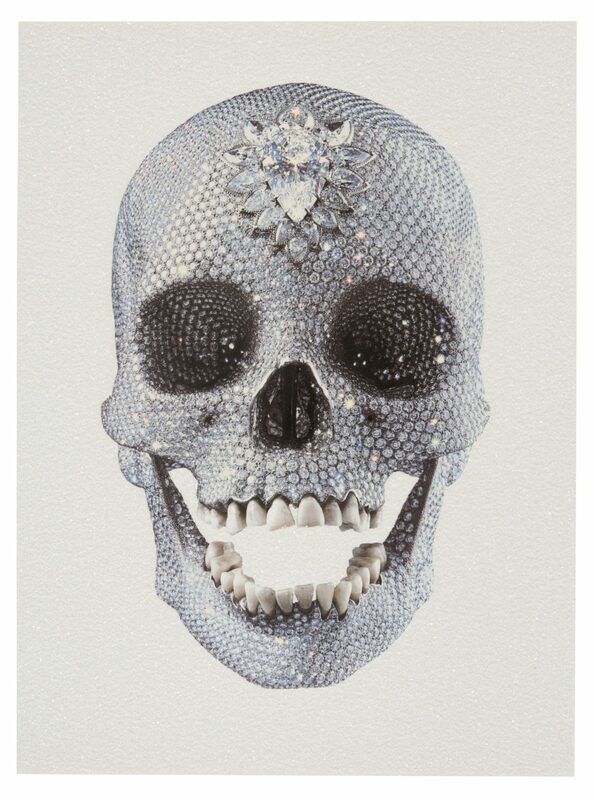 It consisted of a platinum cast of an 18th-century human skull encrusted with 8,601 flawless diamonds, including a pear-shaped pink diamond located in the forehead that is known as the Skull Star Diamond. 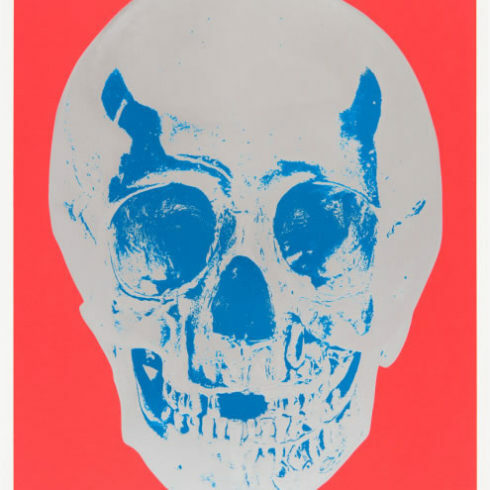 The skull’s teeth are original, and were purchased by Hirst in London. 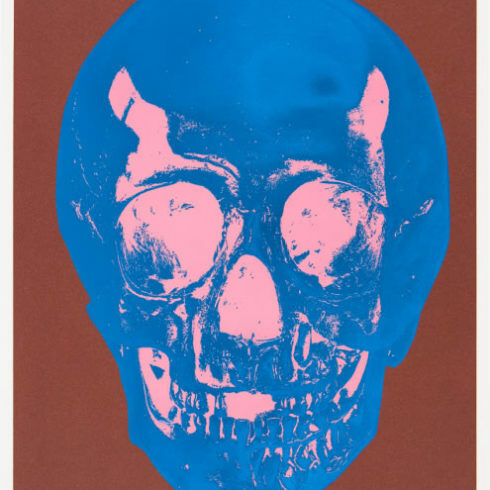 The artwork is a memento mori, or reminder of the mortality of the viewer. 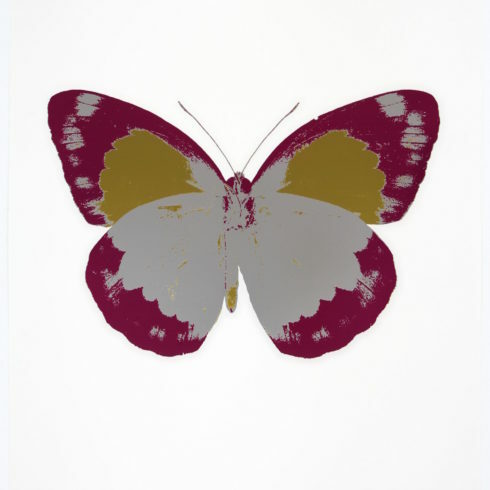 Costing £14 million to produce, the work was placed on its inaugural display at the White Cube gallery in London in an exhibition Beyond belief with an asking price of £50 million. 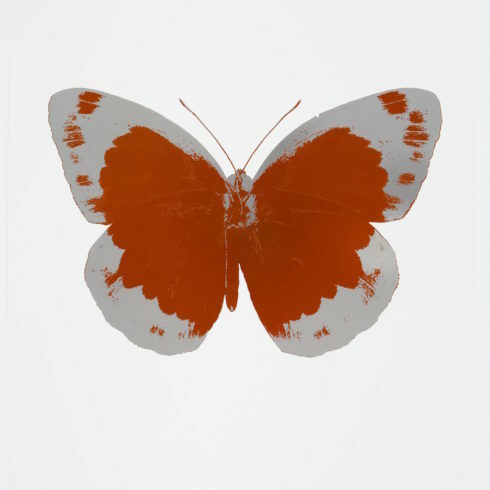 This would have been the highest price ever paid for a single work by a living artist.